I’ve been a fan of Perricone MD cosmeceuticals for a few years now, with a select edit of products available locally at Mecca Cosmetica that are about as cutting edge when it comes to beauty as it gets. 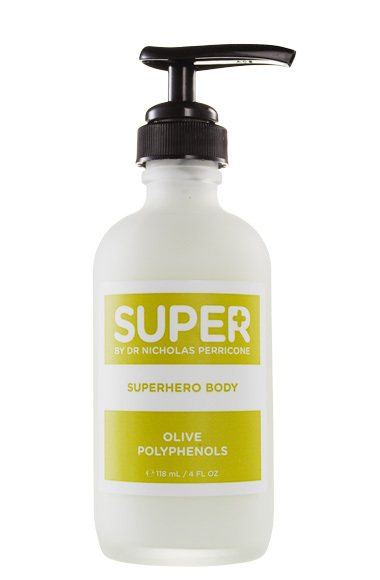 Dr. Nicholas Perricone, MD, FACN, is an absolute wonder at creating products for the body as well as the face, and I’ve heard that Super Body Sculpting Serum is one of his most incredible releases yet. An anti-aging serum for the body that helps to tone, nourish and tighten the skin, it is the perfect product for anyone looking tone, firm and hydrate their body. The super powerful formula includes olive leaf extract - which offers anti-aging benefits to the skin, helping to reduce redness and irritation for a smooth appearance – as well as polyphenols extracted from olives, which help increase skin's moisture retention while guarding against free radical damage. DMAE included in this formulation helps to provide the ultimate firming benefits as it diminishes the look of sagging skin on thighs and arms.